This Page Will Show Info About My Work. 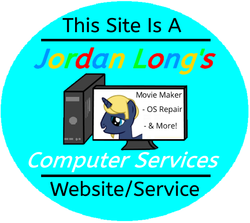 Jlong Media (formerly "Jlong Designs" & "Jlong Movie Productions") is Jordan Long's (Jordan Long's Computer Services's) Media Productions website. This site will host any media content Jordan makes. It will host anything from his movies (also from Jlong Movie Productions) to his photos & 3D Sketchup models (also from Jlong Designs). My Own Personal Artwork That I Create. This Can Range From Road Drawings To Cartoons. My Photos Will Range From The Surrounding Area I Live In To Pics Of My Familys Pets Or Animals In The Zoo. My Own Made 3D Models In Trimble Sketchup. Most Are Models Of My Own City, A Project Named "Tycloud Park Project" And Other Models Might Be Of The Area I Live In. My movies that I make for family to the movies I work on for others (posted with their permission of course). I have made a movie for my school in Syracuse, NY. I have made movies for my family as gifts.